Formed in 1935, Phoenix Sports Club originally started out as St. Johns Welling, later changing its name to Lakeside, before renaming to Phoenix following the Second World War as it was seen to rise from the ashes of the previous two clubs amidst the destruction caused by the blitz. 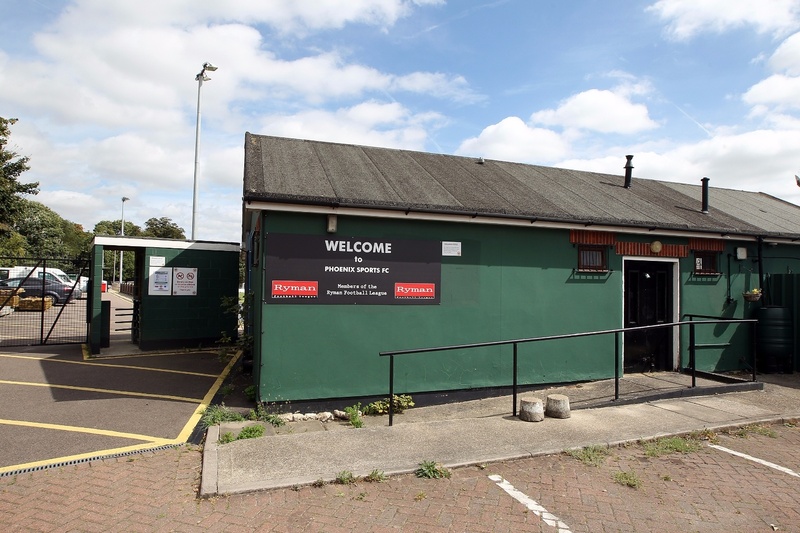 Over the years the club has played at various locations in the local area, including Danson Park until 1950 when the local council offered them a piece of waste land in Mayplace Road East, Bexleyheath. Over time it evolved into the ground that we all know now as The Club. Both football and cricket have been played at Mayplace Road East, with many members, both past and present, representing the club in both sports. However, with the growth of junior football, cricket has now moved away from the club. After entering various leagues, including the Sidcup League, Kent Amateur League and the Dartford League, the club settled in the Kent County League Division One West, finishing as runners up twice in the 1950's and once in the 70's. Due to financial difficulties, Phoenix were forced to form a Limited Company and adopt the name PHOENIX SPORTS CLUB (1982) LTD. In the 1986/7 season, the club entered the Spartan League and competed there for six seasons. They then returned to the Kent County League - Division One - West, winning the Challenge Cup in 1993-94. In 1999/2000 we won the league, gaining promotion to the Premier Division, however after two relegations ended up in Division Two West, finally returning to the first division in 2004/05, and then back to the Premier Division in 2007/08. Over the years various honours have come our way, but unfortunately records are fairly sparse. However, we have won the Hospitals Charity Cup Division 1 twice in recent seasons. In recent years, we have seen a steady improvement in the standard of senior football played here at Phoenix, especially after the introduction of our Saturday morning soccer school academy for juniors and a new management team at senior level. These changes resulted in the first team winning the Kent County Football League Division Two title, The West Kent Challenge Shield, The Hospitals Charity Cup and the Kent Junior Cup, in the 2004/05 season. The team maintained steady progress to win the Division One Championship and promotion to the Premier Division, and also the West Kent Challenge Shield and Hospitals Chairty Cup again, followed by a win in the KVFA Intermediate Challenge Shield. After three seasons in the Premier Division, the first team became founder members of the Kent Invicta League at step 6 of the National League System (Step 10 of the English Football League System) – the highest level of football the club has ever played at. We went on to finish runners up, missing out by only two points to eventual champions Bly Spartans as well as reaching the League Cup Final, again losing out to Bly Spartans. The reserves also had a good season that year, winning Division Two of the Kent Hurliman League and were finalists in the Kent Intermediate Cup. This past season our third senior team (The A Team) gained entry into the Kent County League, winning Reserve Division West and reaching the final of the KCFA Junior Cup group A and the Hospitals Charity Cup. Unfortunately, the 1st team and Reserve team Management both decided to resign for personal reasons at the end of season 2011-2012. After an exhaustive process we appointed Steve O’Boyle and Tony Beckingham as Joint 1st Team Managers, and John Hope as Manager for the Reserves assisted by Brian Magenis and John Barry. Whilst off the pitch we installed floodligts and 108 seat stand. After a successful first campaign under the new management structure and after losing only two league games all season, Phoenix won the Kent Invicta league and gained promotion to the Kent League (now renamed the Southern Counties East Football League) to play at step 5 of the National League System. After finishing in sixth place in our inaugural season, we have made some more ground improvements and have received confirmation of a F Grade. We aspired to a higher finish, hoping for maybe 4th spot, for the next season. We had a very good start to the season but unfortunately lost in our first ever appearance in the FA Cup. Losing on penalties after a replay. We then began an unbelievable run in both the League and FA Vase. The Vase journey was fantastic culminating in us reaching the 4th Round Proper, losing to the eventual winners North Shields. In the League we managed to lose only 1 game all season and accumulating 30 clean sheets. Due to these performances we managed to win the League quite comfortably in the end, although there were a few sticky moments. These achievements meant that we also had to work miracles off the pitch, but we eventually managed to get all the necessary works done in time to gain D Grade and promotion to The Ryman League North Division. After a long 1st season, we managed to finish in 14th place of 24 teams. This can only be classed as a great result for the club. We now try to push on for another good season and hopefully a higher place finish, although we will not now be an unknown quantity. After another hard season where we were in and around the play off places for most of it, we were cursed by Boyley winning the Manager of the Month award for March, and managed to go the rest of the season without picking up another point, and finishing in 8th place. We were also the subject of a lateral movement at the season end, so will be competed in the newly sponsored Bostik League South, for the 2017-18 season. After a decent start to the season and sitting in the play-off spots for a while, we were rocked by the departure of 1st Team Manager Steve O’Boyle. This coincided with a blip in form, but new Manager Paul Bryon steadied the ship and we finished in a creditable 11th place. We now look forward to the 2018-19 season in the Bostik South East Division. Alongside the 1st Team and the Reserves, we presently have a total of 28 teams playing in Phoenix colours, making us one of the biggest clubs in the area. Phoenix are also a FA charter Standard Community Club - the highest level of youth recognition from the Football Association. Mini-soccer is played at the Mayplace Ground and Sundays are always busy with parents cheering on the youngest players to wear the green shirt.